Since my last post was a lot of text, I’ll try and make this a “photo entry” of sorts. To the left is Kaylee, aka “Boss.” To the right is Ed, the actual boss. But since Ed’s getting long in the tooth, he picked Kaylee, a freshman who didn’t know a ton of people on the trip, to be his active helper during out first three days on the job. It was a great way for a new Crossroads member like Kaylee to get to know the group – plus, for a group of people that loves giving nicknames, the chance to call her “Boss” all week led to some very amusing exchanges. Ryan’s a man! Look at that hammering technique! Going on this trip helped all us non-carpentry folk learn some snazzy technical jargon to impress our folks when we got home. 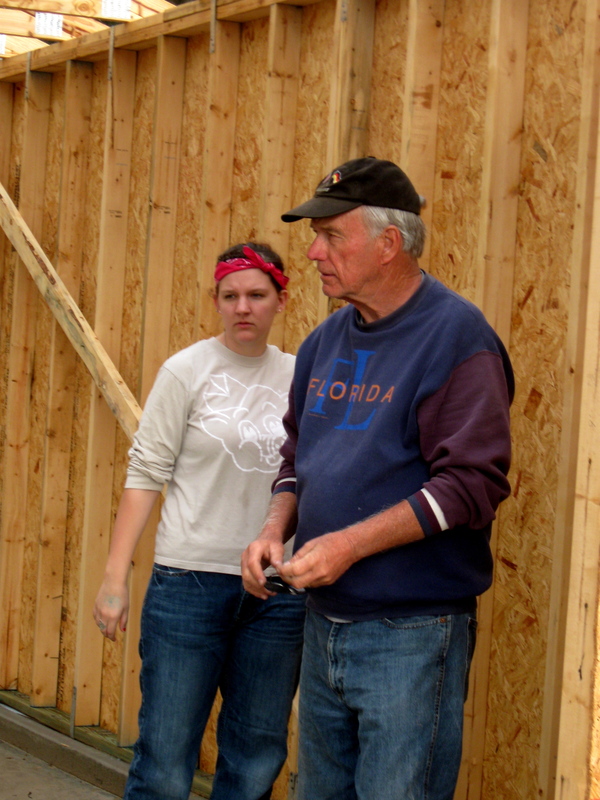 My grandfather was very pleased that I knew how to flip trusses to support the roof, how to knock out shiners, and what a joyce is. The problem? I still don’t know how to spell “joyce.” Hey, can’t learn it all in a week, right? As I mentioned, the roof! 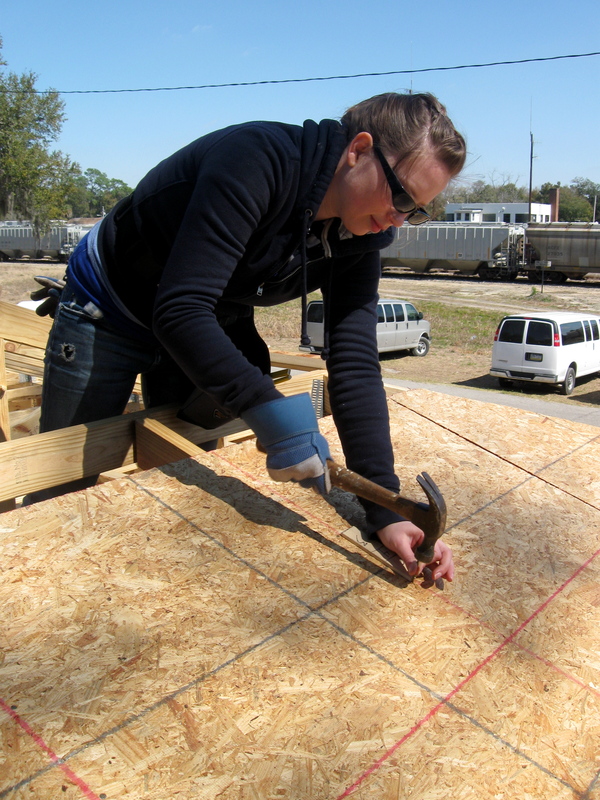 Here’s Sarah, hammering in the innermost protection for the roof. We also learned to use tools that we really had no business using. How many college students does it take to operate a buzzsaw? Hopefully, just one, or you’re probably doing it wrong. Here’s Bri using it properly. 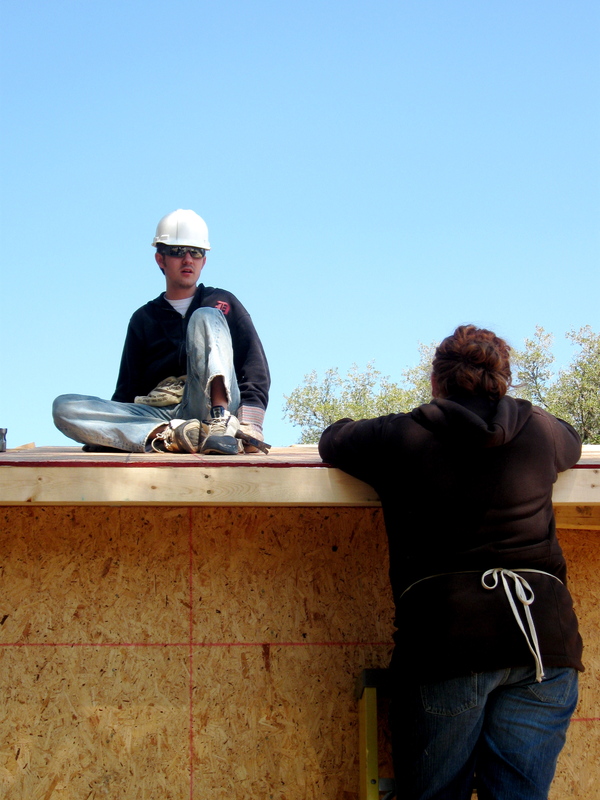 The last stage of our house- building process (or at least what we were there for): weatherproofing the portion of roof we’d put up. It’s a good thing it wasn’t windy, or this would’ve been really hard to do…oh wait, it was. Hence why it took nearly every member of our team to hold this down while we hammered the tarp down. More pics, entries to come. I meant what I said and I said what I meant-I will recap this Crossroads trip no matter how long it takes. We departed from Pittsburgh on Saturday, Feb. 27 around 4:30 PM. We had 22 total people–17 current Duquesne undergrads, one grad student, two former DU students (who formed one lovely married couple), and two adult leaders. We crammed into two vans; for those who are morally opposed to math, that’s 11 people in each van for about 20 hours, with a couple stops along the way. Oh man. The trek down started fine, but when night crept in and it was time to give the drivers some quiet to concentrate on the roads, trouble started. In case you’ve never tried, it’s quite the challenge to sleep sitting in a van with 10 other people. I got about 45 minutes of sleep, and that didn’t come until around 5 AM Sunday. By seven, we were at our breakfast destination, Waffle House. After grub, we piled back into the vans that we had named for to make things easier (our van was the DeLorean, from “Back to the Future”–the other van, the Millennium Falcon from “Star Wars.”) We were staying at a Girl Scout camp near our work site, but they weren’t ready for us to “check in” yet, so we spent a few hours playing frisbee at a nearby park. Amazing how long you can play frisbee for while running on less than an hour of sleep and an overload of McDonalds/Wendy’s. When we got to the campsite and unpacked, I promptly fell asleep. Amazingly, though, I woke up feeling worse than I did before. Luckily, though, it was dinner time. We took turns making dinner during the week, and that night was spaghetti and meatballs, one of my favorites. After dinner, we held our nightly worship session, which is where I started to think this trip was going to be more than I had expected. Our friend Pete spoke about trying to keep your life in perspective, even when you feel like you might “deserve” more than you’re getting. Afterwards, my good friend Jon played guitar and led us in worship music, my favorite part of each evening. Anytime someone begins playing a song everyone knows the words to, it can make for a great experience. But when the lyrics you all know mean more than the average love song, everything is raised to another level. After worship, we all really hit the sack hard…except for the guys in my room. The four of us–myself, Jon, Ryan, and Cam–spent a solid hour “trying” to sleep, but actually talking about different bands and music styles. We had a couple more conversations like this during the week, and no matter how ridiculous or how serious the talks were, I felt like each one brought us closer together. This post turned out longer than I thought it would, especially considering we haven’t actually hit the work week yet. But that part’s coming, as well as a few more pictures. Hope you’re enjoying this so far. 1. I was appointed Assistant Sports Editor at the Duke, which means I’ll be head sports editor next year. Go me. 3. I grew out my beard…ever so slowly. 4. 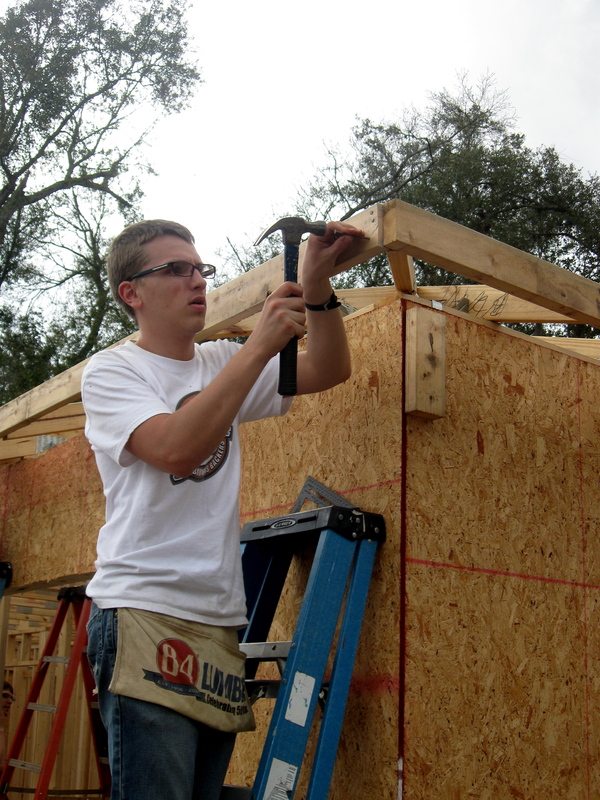 I went on a mission trip with Crossroads and Habitat for Humanity during spring break that changed my life. Since I’m not sure how much material I’ll get out of #3, I guess I’ll tell you some about my trip. 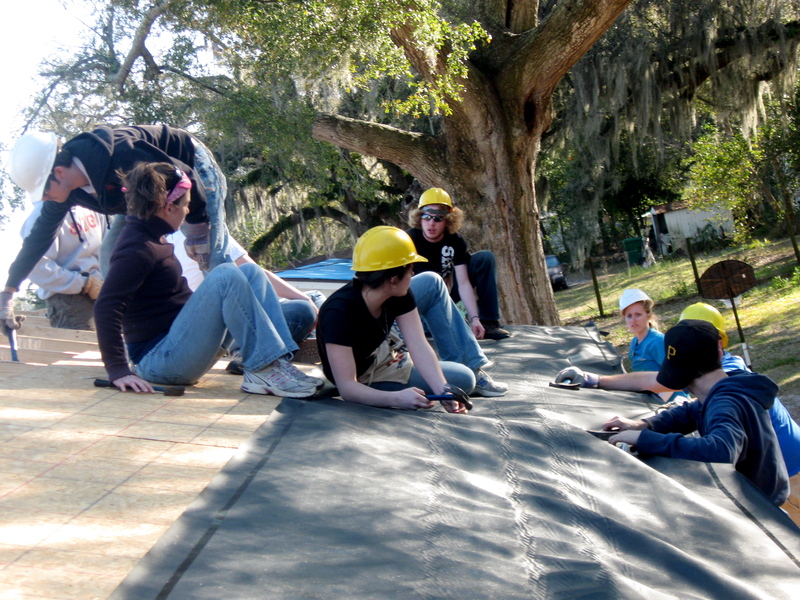 Crossroads is a Christian fellowship group on campus. While Duquesne is indeed a Catholic university, Crossroads does not restrict itself to one sect of Christianity, instead accepting all who believe in God, his son Jesus Christ, and the Holy Spirit. I’ve been a member for a year and a half since my better half convinced me to go in Fall of ’08. 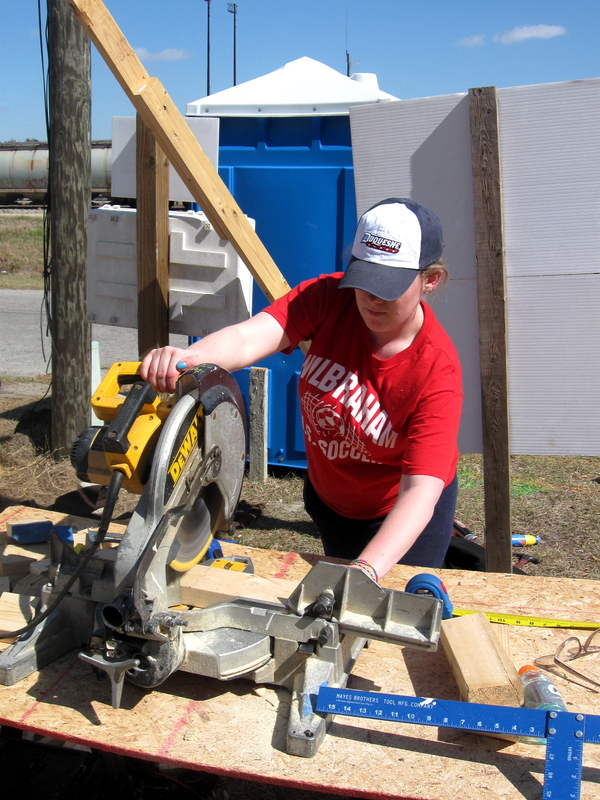 This year, Crossroads’ annual spring break mission trip was originally scheduled for New Orleans, but because the sponsor group in NO folded, Crossroads changed its plans to go to work with Habitat for Humanity in Sumter County, FL. 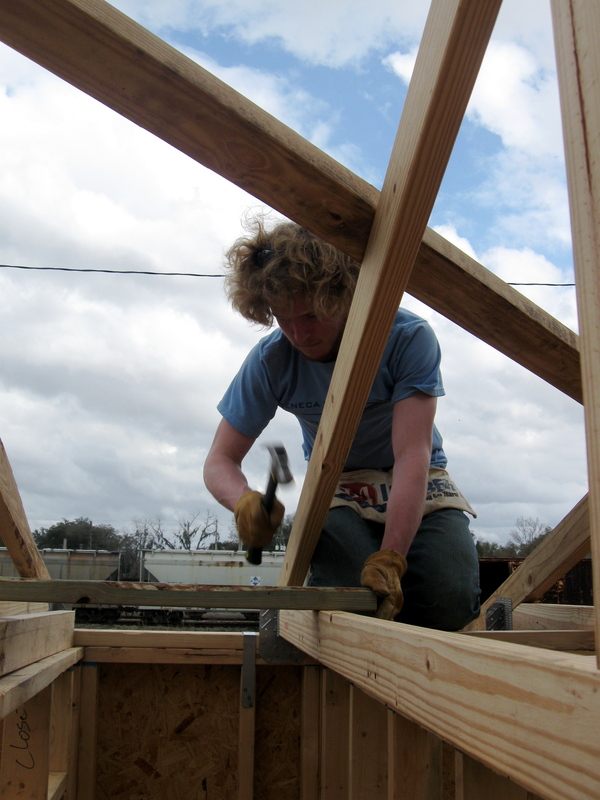 The idea of paying $500 to give up my week of freedom during what I call “Winter Break II” (because any break that starts in February is not a spring break in my book) to build houses for 6-8 hours a day was not high on my list of favorite things, whether it was in Indiana, Florida, or outer space. But my friend Dan convinced me to go and told me how to raise money for the trip. Plus, my better half had gone on the mission trip the year prior (to a deaf village in Jamaica) and said it was an incredible experience. After a while, I decided at the very least, I’d have a few stories to tell from the trip, so I agreed to go. As it turned out, the trip was everything I could have asked for, with plenty more than I expected. I don’t talk candidly about my religion very much, but suffice to say, my faith truly changed over the course of break. This happened not only because of the type of work we were doing, but because of our nightly worship sessions, which featured a member of our group speaking on a particular subject followed by about a half hour of worship music. All the while, I met a ton of new people, and truly bonded with those that I knew before the trip. I hate to sound cheesy, but this is definitely something that I won’t forget.